Easy- check. Tasty - check. 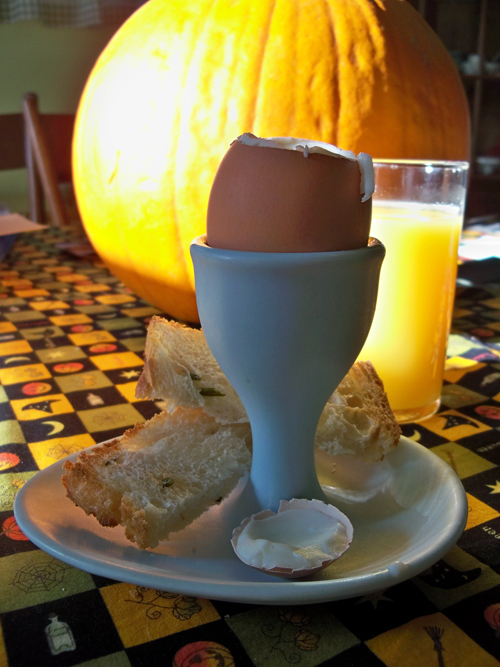 Use of cute egg cup - check. Favorite breakfast treat = soft boiled egg. Everything alright over there? Awfully quiet around here.